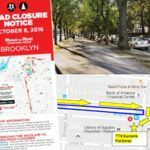 President Street residents are up in arms over a 4:00am ‘wake-up call’ they received courtesy of an NYPD patrol cruiser announcing that residents must come out and move their cars. One reader, Amir P., was so upset that he called it “brutality” and authored a letter about this shocking experience. 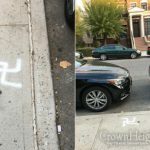 Police Brutality Exercised Against Men, Women and Children – Jews and non-Jews alike, on an Entire Crown Heights Block! 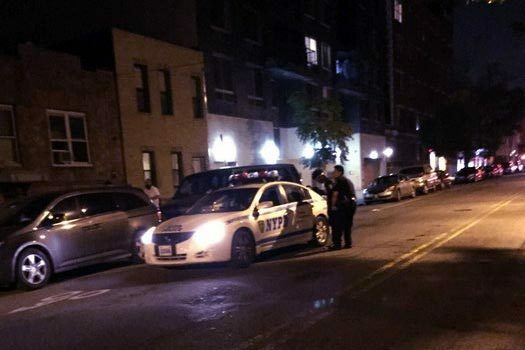 This morning (Rosh Chodesh Kislev – November 19th) just before 4am, the entire block of President Street between Albany and Kingston Avenues, was subjected to inexcusable police brutality. No, there were not beatings, forced arrest or anything of the sort, nor was there any discrimination between Jews or non-Jews. This was indiscriminate brutality, DELIBERATELY waking up an entire block at the wee hours of the morning. And yes, going slowly through a residential block with sirens on, when there’s no emergency, and calling out on the loudspeakers to people to come out and move their cars (where exactly should they be moving their cars to at 4am in the rain) is nothing short of brutality. Needlessly waking up children that need their sleep and have to get up just a few hours later to go to school (not to mention that their school bus was harassed trying to enter the block for the pickup, rather than just be let in immediately), waking up a mother who just managed to fall asleep less than an hour before after tending to a crying child, disturbing the rest of an elderly person, or just a someone who needs to get up and go to work a few hours later. All of those, while not leaving any visible bruises, are forms of brutality. What’s more infuriating is that this was totally needless! Last week, signs were put up on the block saying “No Parking Sunday”. Oh, you might say, so everyone was warned, why did people park there? Well the thing is that the residents of this block are extremely lucky (and experienced). Come Yud Shvat, Yud Aleph Nissan, the block is taken over and used FOR A FEW DAYS as a staging area for Mitzvah Tanks (why can’t the staging be done in a non-residential area, and the tanks just brought in just before the parade?). Come summer time, the block is blocked off at least 3 times with buses taking kids to camps or returning from camps. Come Tishrei, the block is closed off for Kaporos. We, the residents of the block are accustomed to this, we have even learned to put up (though we shouldn’t) with the garbage left behind by all of the above. But you see, since we are accustomed to the signs going up, we know that when I sign goes up saying NO PARKING SUNDAY, that would generally mean from some reasonable day-time hour (and by the way, that is probably what was even meant this time around – by 11am there were no buses or anything else parked on the block). Had it indeed been important that no cars were parked on the block (I doubt whether anyone on the block was asked for consent for this), there was ample time on Motzoei Shabbos to put notices on the cars parked, go door-to-door, or maybe even use sirens and loudspeakers to tell people to move the cars. But indiscriminately waking up an entire block, whether one had a car on the block or not, at 4am can only remind us of dark times when people were rounded up in the middle of the night! If I were a car owner that made sure that my car isn’t parked on the block even for 1 minute on Sunday November 19th, I was still woken up. If I’m an elderly person that doesn’t own a car, I was still woken up. If car rental agencies leave their cars parked on our block, with the owners not even living here, the entire block was still woken up, with the people that have the keys not even hearing the announcements. I had confronted one community affairs police officer about this. He admitted to me that it was wrong, said he would try to find out who did it, and make sure it wouldn’t happen again. However, then came out the truth. He said it has only happened once before, about a year ago. I am sure that if he’s aware of this happening before, someone did complain. Obviously, that didn’t stop it from happening now, so why should we trust any assurances that it wouldn’t happen again? This incident of police brutality should not be hushed or let to rest without consequences. At the very least, a LOUD and PUBLIC apology, by both the officer that dared wake up the entire block, and by all his superiors should be called for. Something must be done so that this incident is remembered so much, at it should not be allowed to happen again. On a side note, the residents of the block welcome the fact that this time around, the big zchus of hosting Mitzvah Tanks was shared with other blocks, and congratulate the block of Carroll Street between Brooklyn and Kingston for hosting the tanks this time around. It would be nice if the Zchus could be shared by all members of the community, and maybe a rotation of blocks should be put in place, so every block in the neighborhood has the zchus. You are right. There is no excuse for this. As far as the tanks and buses for camps it must move to another non residential location! It backs up traffic to a standstill for hours and emergency vehicles cannot respond efficiently! Why not use use Winthrop and kingston area if available or similar place and give all of us relief. I fully understand your anger & frustration. I presume that in writing this Op-ed you realize that going to the Community Council to get them involved is a total waste of your time & energy. If I were you, I would send this directly to the Police Commissioner, with a copy to the commanding officer at the 71st pct and the commander of Brooklyn South. And consider, if you don’t get satisfaction, sending it to the Daily News. If you can get your neighbors, Jewish or not, to sign as well it will be even more effective. Good luck. Boo hoo hoo! Follow the signs or get towed. Residents had plenty of time to find place. And those that didn’t park on the block also needed to be woken up at 4am to have cholent mit kugel, right? I feel your pain. How about the blocks that 3-4 times daily host parked cars of public/charter school parents who don’t even live in our neighborhood that double park their cars, block driveways, block fire hydrants and come 1/2 before dismissal and put our blocks in gridlock? Who is representing us? Who is our voice? I wish there would be somewhere we could go to get double parking laws enforced. On President Street between Utica and Schenectady people shopping at the Caribbean restaurant regularly double park, sometimes blocking 2 or 3 EMPTY legal parking spots! First of all you have a lot of valid points. To say “with the garbage left behind by all of the above”. Ask any resident of the block. We leave the block cleaner then we get it. There is no Yud Shvat Parade. It’s one a year from tanks on your block. Chanukah the residents of the next block are inconvenienced for a week.You are inconvenienced 2 days. Your block gets this z’chus as President is the widest street in Crown Heights. Sorry that you go through all this. We try as much as possible to work in a way to make it easier for the residents of the block. If there is any way we could make it less inconvenient plz contact me. As pointed out above. Kingston Avenue at Winthrop is WIDER than President Street between Albany and Kingston, And more importantly, is not a residential block! NY drivers are horrible from double parking to aggressive drivers to an absolute uncaring and unthoughtfullness to others. No matter if its pedestrians or other drivers. The NYPD needs to do their responsibilities. they are doing it for OUR cause, be respectful and decent. ifthey post signs saying NO PARKING Sunday for OUR events please respect that. Do yourself a favor and put yourself in the NYPD’s shoes. what would you have done in this situation? Stop being a cry baby and follow the laws. Don’t mean to be rude, but if you dont like it simply put “move out”. go to NJ, Conn Pa etc. Grow up be an honorable NYC resident…….. There was absolutely no reason to indiscriminately wake up an entire block at 4am. 1. They could have done it at 7am, 8am or even at noon! Whatever happened on the block didn’t take place until about 3pm! 2. What does any of this have to do with NY drivers? 3. Are you even aware what exactly this cause of ‘ours’ was this time around? Was this indeed the best option? Was anything communicated to the residents? With all their technology it would take minutes to wake up vehicle owners by ringing their door bell. It’s very simple, location (being a 2 minute walk from 770) has it’s advantage and disadvantage! You know that if you live in ch people will ask to stay by your house, and that if you’re near 770 you’ll hear simchas beis hashuavah….. If your close to 770 there will be mitzvah tanks. FYI. This wasn’t even for tanks this time around. If I understand him correctly his logic is sound. But his grammar and word choices are somewhat comical. The lack of consideration should be addressed before it becomes something bigger. Just like the police have a “Broken Windows” policy where they address small crimes to prevent bigger ones. We must hold the police accountable for the relatively minor mistreatment before they commit greater violations. No you do not leave the block cleaner than before!! And while the tank parade might only be 2 days which in itself might seem small to you but not to the residents on the block trying to make you tov!! What about all the other days….camp buses… Kapors….and random other days…. So yes they all add up….if any other block would like “this big zchus!” We’ll gladly give it up…. Well, you say you wouldn’t give it up for getting up at 5am to move your car. How about being woken up at 4am even if you have no car to move? How about if you had young children, or elderly parents, or a tired wife that was woken up by this at 4am? Here’s a suggestion. Next time around, why don’t you volunteer to move everyone’s cars at 5am (or 4am) so that people don’t have to be woken up. let shilom ber drizin have the kapores on his block at least once.he cares so much for eshel let him stink up his block. The Caribbean restaurant with the double parking in front of empty spaces (or blocking cars) is on President Between Rochester and Utica, rather than between Utica and Schenectady (slip of the keyboard up there). Unfortunately, the policy are just as guilty, as rather than actively ticket the double parking cars, they themselves often double park there, while stopping at the restaurant for a bite. I am a resident on this block and I love it! My children watch from our windows in amazement! We love having all this exciting action take place on our block- we feel so privileged and I don’t want it to move from my block! Thank you rabbi moishe schmukler and rabbi mordy hirsch for constantly giving us this great opportunity and always getting ur children involved- they love it! That is why the author suggested a rotation of blocks, so EVERYONE can have the zchus and enjoy it. Is it fair to keep it all for your own kids? What about other kids in the neighborhood. For some reason some people are focusing on the Tank Parade, when that is not at all the topic of the article. It’s about the unjustified and inexcusable police action at 4am. No-one was able to come up with any explanation as to why it was done, let alone necessary! I live on crown and kingston! we want the mitzva tanks too!!! WHY DO YOU PEOPLE LIVE IN NYC? IT’S THE MOST AWFUL CITY IN THE WORLD AND HAZARDOUS TO YOUR HEALTH! Do packed subway cars remind “trigger” the author too? I would definitely be annoyed if this happened on my block, but this is way way overreacting. I’m somewhat surprised that ch.info gave this snowflake a platform to publish his tantrum. Calling the author of this article a “snowflake” doesn’t make you sound very mature. Can you not see a difference between a person going into a packed subway car BY CHOICE and being forcefully woken up by police in the middle of the night? There’s obvious hyperbole in the analogy to dark times. No one thinks this is C”V anywhere close to those times. But if you think about it with a cool head, you will see that the decision to go through a residential block with sirens trying to indiscriminately wake the entire block up (or even if we just forgive the person – IF he were to come and apologize, which is what the author is asking for – for being an idiot, and not realizing that for every one person that is able to move the car being woken up, he is also waking up at least 5 or 6 times as many people that have nothing to do with the cars being parked) is wrong and inexcusable. All of this is besides the point that there was absolutely no reason to do this at 4am. Could have easily been done at 7am, 8am, 10am or even high noon! This writer sounds mad instead of being logic. True they did not have to wake you up at 4am they could have waited until 7am. But all the other stuff makes you sound like a lunatic. This is NYC every block has its issues some more some less. In Manhattan parking is horrible. If you live near a churche the people double park for hours. Most of ch has extra parking in the summer while places near Utica is still full even during the summer. The 770 block gets blocked off 20% of the year. Residents and Montgomery and king stone deal with SBH. Every block has its avnatage and disadvantage. Anyone can choose where to live. It’s unfair to move some place and then expect the world to change around you. You can move to a quieter place out of ch or out of NYC. But it sounds like you want the best of both worlds you want to be near Kingston and 770 but want to live like the people in NJ. I think most of your neighbors would disagree with you. People have been living on this block before these events started taking place. There are different locations where one can organize and hold events without inconveniencing others, you say we cant complain since we live on a “central block”? what kind of nonsense is that!? that is the epitome of flawed logic!! its might make sense to you until you are the one being woken up or cannot fall asleep…or have to deal with the stench for days and the garbage…. Where in the article did you see any complaint other than the one about the 4am indiscriminate and UNNECESSARY wakeup? are we the reebes chasidim? what type of nonsense is this!? thats what you are complaining about?!!!!!!!! To display some Ahavas Yisroel to children who need sleep? Yes boric Hashem always busy with good activities but it’s certainely not fare only on our block and they leave every time big MESS ! We are bother with noise, mess, buses, kaparos, camps, AND DIRTY STREETS !! ITS A RESIDENTIAL BLOCK ! The Rebbe Would NEVER let this happen if one JEW is hurt by it. Let’s not schlep the Rebbe into this, regardless of which way one is arguing! I’m sorry to say this but everyone is just being a whole bunch of complainers!! I live on the block and I love it!! And if you say that I being selfish please be quiet- I’m not because everyone else is saying that they don’t want it on their block so I am asking that it please stay on my block! I want this special zechus! I am a resident of this block and I don’t recall waking up this morning by a cop screaming to move our cars- I do recall getting a text though and I’m okay with that because I saw it when I woke up! Well, you posted on November 20th at 5:01pm. I am unaware of any “wake-up” that took place on the 20th, it was on the 19th, as the author of this article wrote. If you were on the block on the 19th at 4am and weren’t woken up, you are either very lucky to have managed to sleep through it, or you sleep with ear-plugs like one of the residents told me he does. #1 I doubt the author lives on this block!!! #3 all who are complaining are acting very immature, I understand that your upset but to be talking the way your talking! That’s hard to believe! #5 every block in ch gets their own opportunities to have their own special zechus- you may not have mitzvah tanks or camp buses, because you have simchas beis hashuava or succah mobiles. Point: appreciate what you have and be positive!!! #2 I understand that your upset but the way your talking- that I don’t understand! #3 I see the way the street looks before and after this exciting activity and the street is left VERY clean! #6 every block has their own turn for these special projects and activities! * be happy, positive and start appreciating what you have! And once again I get great entertainment from all you overgrown children who comment on such a petty issue. Yes I agree waking up people at 4 is wrong but everything else just contradicts each other and makes no sense. And the comments just add to the fun. Thanks for the comedy and giving me a laugh. To all you tank people and camps, keep up your great work. No more kapparos. Once again thanks forbthe entertainment. You write 5 or 6 points, but other than your appreciated bottom line of “be happy, positive and start appreciating what you have”, you don’t seem to make very true or coherent points. I don’t know if you live on this block or not, nor do I know what point you are trying to make claiming that the street is left VERY clean. The bottom line is that as of this afternoon, November 21st, the street (roadway, sidewalks, and blown by the wind into some front yards) is still littered with remnants of the Tank cleanup from Sunday evening. DO YOU EVEN KNOW FOR WHAT PURPOSE THE CARS WERE TOWED ON SUNDAY? Seems like the writer might have done a disservice to the “cause” – which was to protest the police action (not of the actual towing, or even the timing of the towing, but of the “wake-up” at 4am), by mentioning (not really criticizing, albeit writing with a strong tone of sarcasm) other activities on the block (and only complains – legitimately so – about the garbage left behind). After I saw your comment here, I called you and spoke to you, and you actually did a great disservice to yourself by commenting here. As you told me over the phone, you had nothing to do with the Tank Parade on Rosh Chodesh Kislev. The FACT IS that the street is STILL littered as of Gimmel Kislev – as anyone who chooses to actually check out the situation can easily see, so why make yourself look bad by commenting on this. Moshe Shmukler as you stated. There is a great zchus of hosting the bus activities. By all means why dont you grab this zchus and move it over to your block? And of course, there will be no need to discuss it with your neighbors. You have the right to trample on them and make their lives miserable! After all it is a zchus!! !